Just a quick note to let you know that I’m running a series of great contests on facebook to celebrate the upcoming release of THE HIGHLANDER WHO PROTECTED ME. 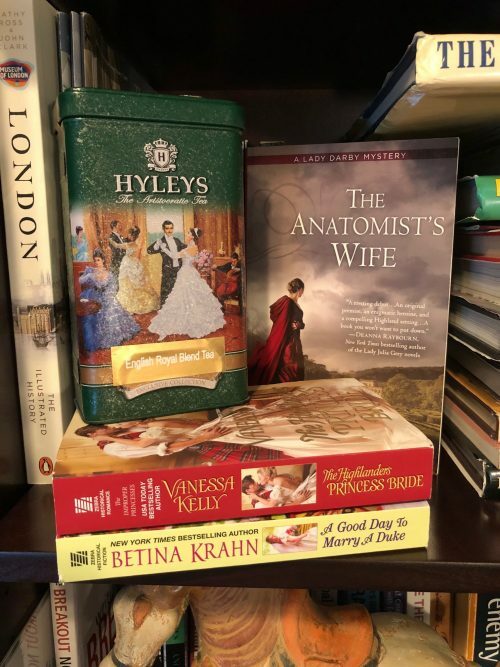 This week’s contest features a book by historical romance writer Betina Krahn, the first in the acclaimed Lady Darby Mystery Series by Anna Lee Huber, and my last book, THE HIGHLANDER’S PRINCESS BRIDE. Plus a pretty tin of really excellent English tea. Easy entry by clicking here. I’ll be running a new giveaway each week for the next month, so be sure to check my facebook page! I’m very pleased to welcome paranormal and historical romance author Jerri Hines to the blog. 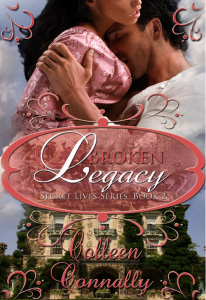 Today, Jerri is appearing under one of her historical pen names–Colleen Connally, and she’s here to tell us about her Secret Lives Gothic romance series. I grew up reading romance, mostly gothic. I would spend hours lost in the pages of another time and place. Heathcliff wandering the moors with the wind briskly blowing in Wuthering Heights…Harriett wondering if her husband, Bevil, whom she has loved since a child was trying to kill her in Menfreya in the Morning …Jane Eyre discovering her love, Mr. Rochester has a wife…insane no less. Gothic romance lured me into its world—the dark, brooding hero, the innocent young heroine and haunting mystery. The classic gothic romances, Jane Eyre, Wuthering Heights, Rebecca, seem ageless. I suggested Wuthering Heights to one of my daughter’s friend who loves to read. The next time I saw her, I asked her if she enjoyed it. She made a little face and explained she couldn’t get into the story. She thought the words were stilted! Be still my beating heart. She couldn’t possibly have thought my Wuthering Heights was bland! More than likely, Wuthering Heights wasn’t like the books she reads now a days. One of her favorite books—50 shades of Grey. So has the romance gone out of Romance Novels? No…romance has only evolved. Romance will never go out of style. Romances are read to confirm that love really exists. For a moment in time, a reader finds love between the pages of a novel. Reading a romance is an escape from the reality of the world around us. It also reminds us why we fell in love and the feeling love gives us. When we pick up a romance, we don’t have to flip to the end of the book to know that everything will end happily. Historical Romances have evolved as well. Historical romances transport us to a different time and place away from the confines of the reality of our everyday life. Most of us have a Cinderella complex and dream of our Prince Charming and happy ever after. History allows different scenarios than what we women experience today. Marriages of convenience, arranged marriages, and women trapped due to circumstances fascinate us. In these stories oppressed women search for the love of their life, finding it in the arms of their prince, undoubtedly rich and handsome…their happily ever after! Take a moment for your day and enjoy this story of forbidden love. Seductive Lies—only love can heal a heart betrayed! “Love is the emblem of eternity; it confounds all notion of time; effaces all memory of a beginning, all fear of an end.” Madame de Stael, French-Swiss novelist. Great post, Jerri! Readers, Jerri is giving away one of her Colleen Connally books today. Just tell us about the Gothic romances–book or movie–that you love for a chance to win! 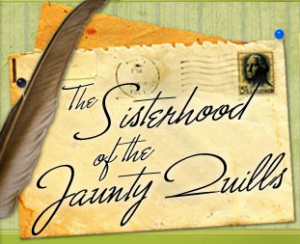 Today is blogging day for me at the Sisterhood of the Jaunty Quills. Today’s topic: is historical romance dead? I don’t think so, but others apparently don’t agree. Let me know what you think! 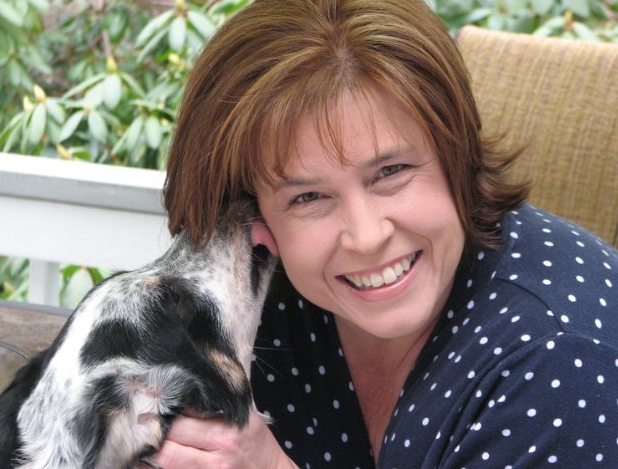 Guest Author: Meredith Bond & Giveaway!! 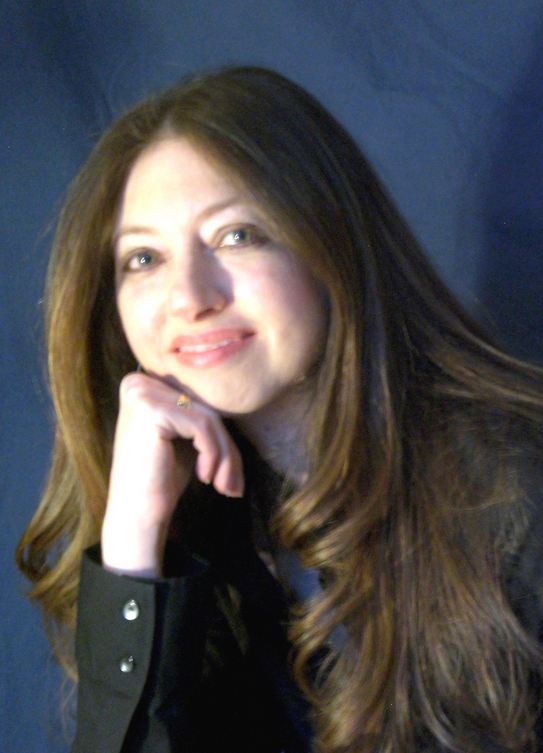 I’m so pleased to have fellow Kensington author Meredith Bond visiting the blog today. Meredith writes my first love – Regency Romance – as well as YA Fantasy and Regency-set paranormal romance. She’s a very interesting person as well as an accomplished writer and teacher. I’m eager to find out more! I see that you’re a writing teacher. Do you teach fiction or non-fiction, and how does that affect your own writing life? I teach fiction writing – I take my students, through a series of courses, from how to organize yourself to write and start a novel in a class called “Start Write”, through the bigger concepts in fiction writing (developing characters, setting, story structure, etc.) in “Chapter One”, to the narrower aspects (POV, dialogue, show and tell, etc.) in “Craft of Writing”, to editing, right on through to publishing. I’ve even got a book out so that others can “take” two of my writing courses (Chapter One and Craft of Writing) called Chapter One. Teaching is fantastic because as I teach each a class, I go through my own writing to make sure I’m applying the lesson I’m teaching. It really keeps me on my toes! Tell us about your series, The Merry Men Quartet. Which book is up first, and what’s it about? The Merry Men Quartet is a really fun series of Regency romances about four friends and how each find love. They were first published by Kensington Publishers, but now I’ve gotten the rights back to two of them, and in another few years I’ll get the rights back to the other two. They were published out of order to begin with, and unfortunately will be again just because of the way I’m getting them back (so disappointed!). The first book to be re-published will actually be the first book chronologically – An Exotic Heir (originally published as Love of My Life). It’s the story of a sweet English girl, Cassandra Renwick, who flees to her parents in Calcutta, India, when she is treated badly by a member of the ton. She soon finds herself fascinated by the city – and her guide, the dark and mysterious Julian Ritchie. Julian has always faced discrimination for being only half-English, especially from Lady Renwick. When he meets Cassandra, he sees her as the perfect opportunity to get back at her mother – by making Cassandra fall in love with him. He soon finds that payback can be painful when you get caught in your own trap. We all have different reasons for loving the Georgian and Regency periods. What are some of yours? I love the juxtaposition of strict rules and the amount of flouting of those rules that goes on in Regency novels – it creates so many opportunities for some great stories. I’m actually working hard on three projects, if you can believe it! I’m desperately trying to finish a short story (the third story of my Storm series), which I’m going to submit to the next WG2E anthology. 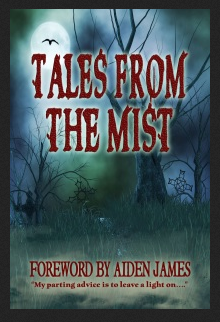 (I published a short story in their last one, Tales From The Mist.) I’m editing the next book in the Merry Men Quartet, A Dandy in Disguise, which I hope to publish in April. And I’m working on a New Adult Paranormal trilogy (two books are done, but for some editing and the third is half written) – it’s a medieval tied to the Arthurian myths and loads of fun! If I can get those done, I’ll be the happiest person because I’ve been working on them for about four years now! Thanks so much for that great interview! 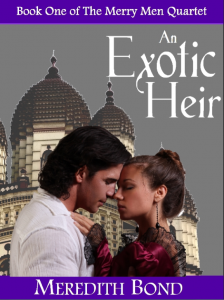 Readers, Meredith is giving away a copy of Book One in her quartet, An Exotic Heir. Since Meredith’s book is a historical not set in England, let’s talk about that. What other countries would you like to see a historical romance take place in? One person who comments will win a copy of An Exotic Heir. 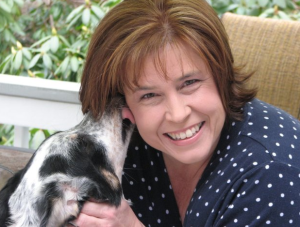 Guest Author: Sandra Worth & Giveaway! I’m so thrilled to have today’s guest author on the blog. 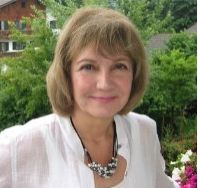 She’s Sandra Worth, and she writes wonderful historical fiction. Sandra is the author of five acclaimed novels that chronicle the demise of the ruling Plantagenet dynasty in England. Each one of her book has received multiple awards, including first place in the New Century Writers Awards sponsored by Francis Ford Coppola, three Reviewers’ Choice Awards from RT Book Reviews, and a national “Best Book” pick from USABookNews.com. Those are mighty impressive writing creds, wouldn’t you say? Sandra has garnered all that acclaim because she writes corking good stories about historical figures. So history lovers and historical romance lovers, pull up a chair. Sandra is interviewing with us today, so let’s get to it! Sandra, your books take place during the War of the Roses, and chronicle the demise of the Plantagenet Dynasty. Why this particular period of history, and what sort of personal perspective did you want to bring to your books? What interests you about the Plantagenets? Richard III wouldn’t leave me alone after I read Josephine’s Tey’s Daughter of Time <g>. I came to really agonize over the injustice done to his memory and wanted to do something about it. 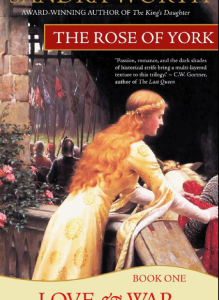 The Rose of York trilogy was my way of dealing with history’s miscarriage of justice. The fact that he’s the king who gave us the presumption of innocence on which our great democracy is based is a terrific irony and makes it that much worse. The Plantagenets are a fascinating, colorful bunch – not as ruthless as the Tudors, and far more likeable. But they had their share of scandals, so we writers have plenty of storylines to choose from! Your books contain romantic elements or are full-on love stories, which readers really enjoy. How do you interweave facts and fiction to shape that particular element in your books, particularly since your heroes and heroines had lives that were fraught with danger? I think love is very important in life and in a story. It’s our greatest emotion, and even history- which some people find dull (believe it or not!) – can be fascinating when it’s wrapped in a love story. For me, the mechanics are to start with reading. Once I have a general understanding of the history, I make a research trip or two. Seeing the places connected to my heroes and heroines never fails to bring them alive to me. Often I draft scenes while I’m actually there looking at the view they once saw from a balcony, a window, a cliff. When I get back, I plunge myself into more research, and somehow, at some point, it all sorts itself out and I have a book. As far as weaving the love story into the events of history, often these historical figures have left us some indication of their feelings, and either it’s hinted at in the historical record, or if we’re lucky, there’s a full-fledged account (as with Perkin Warbeck and his Scottish princess). Going back to The Rose of York, for example, Richard found Anne hidden away toiling as a scullery maid in someone’s kitchen. Was she trying to hide from him, or was he playing Prince Charming? Interpretation is everything with history. I took into account the fact that Anne was his brother’s ward at the time, and that his brother had fought Richard over money and titles. I came to the decision that this was a power-play on his brother Clarence’s part, and that Clarence hid Anne away so Richard wouldn’t be able to marry her. Once I knew my direction, everything else fell into place – Richard and Anne’s relationship as children (they were raised together by her father), her forced marriage to Prince Edward of Lancaster, and Richard’s devastation at her death that led to his suicidal charge behind enemy lines at Bosworth. Your latest book is Pale Rose of England, which sounds wonderful. Tell us a little about it. As an author, what do you like most about this book? Thanks, Vanessa – love to talk about Prince Richard and Lady Catherine Gordon! Thanks to the Tudors, this Richard- who many contemporaries believed was the younger prince in the Tower, and who is portrayed as such in this book – is known to history not as Prince Richard, Duke of York, but as “Perkin Warbeck,” a boatman’s son. He fought Henry VII for the throne, and lost. Henry fell in love with Richard’s wife, the beautiful Scottish princess Lady Catherine Gordon, and held her child hostage as he courted her and executed her husband. 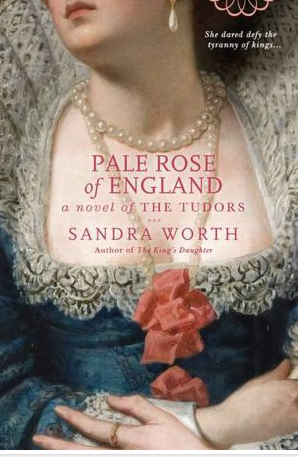 The story of Pale Rose of England is Catherine’s story of survival and ultimate triumph. This is a love triangle too, but in a totally different sense from my Roman book, because Catherine loathes Henry VII. Yet she can’t offend him because her child’s life is in his hands. I just this morning sent off my new manuscript to my agent – so I’m very excited!! I’ve left the Wars of the Roses in England and moved to the Eastern Roman Empire. Very little has survived about my heroine and I had much more work to do piecing together a credible story. Throw in a love triangle as a complication, well, that’s why it’s taken me two years to write!! Thanks so much for this interview, Vanessa, and for the great questions. Sandra, I can’t wait for you next series. It’s sounds fantastic! Thanks so much for joining us on the blog today. 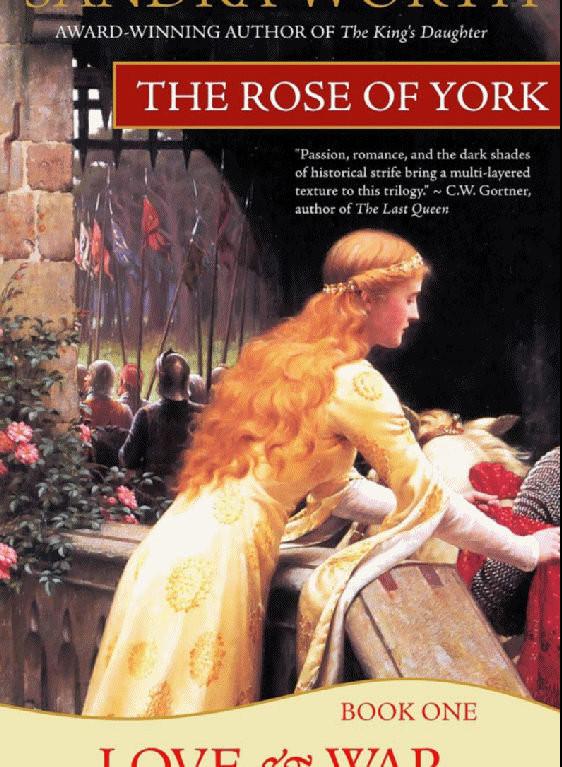 Readers, Sandra has graciously donated The Rose of York for a giveaway. Just tell us what your favorite period of history is, for a chance to win. And be sure to visit Sandra’s beautiful website to read excerpts, watch her book trailer, and find out about her latest contest.